Well, I guess they come in 3's! This was my third side easel card...I'm on a roll:) This was made for a friend and I had seen the idea with the battery votive on Pinterest and wanted to try it. 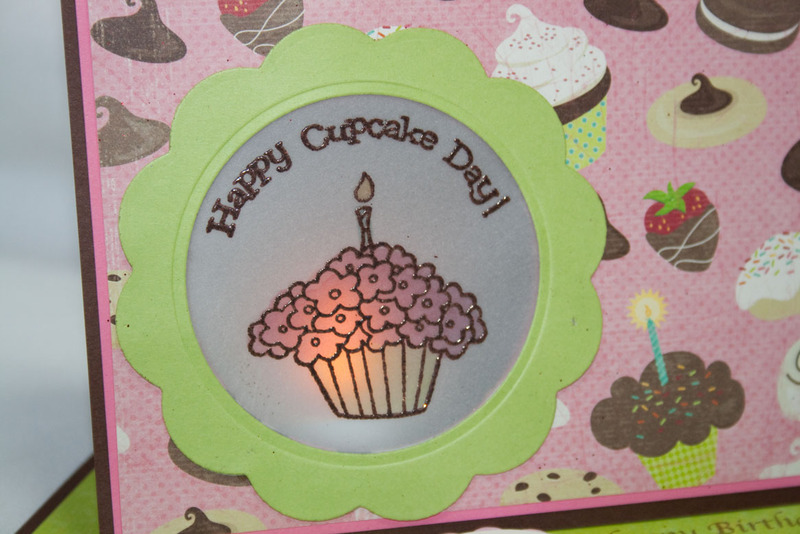 So I made a vellum window and embossed the Floral Cupcake from Abby & Walter's Birthday Stamp Set and colored the back side with Copics. I absolutely love the way the candle flickers behind it! The cupcake punch border is from Martha Stewart and I added Dimensional Glue and Glitter from Sparkle N Sprinkle. The sentiment was embossed with Cherry Red EP, and the Happy Birthday was stamped with Memento Rich Cocoa Ink. Fun birthday card. We did one similar to that at club this year with the votive. So pretty. Yes, you are on a roll! I love this Jill! ... and how cute with the votive behind the window! I'm sure your friend will just love it! What a great idea, Jill. 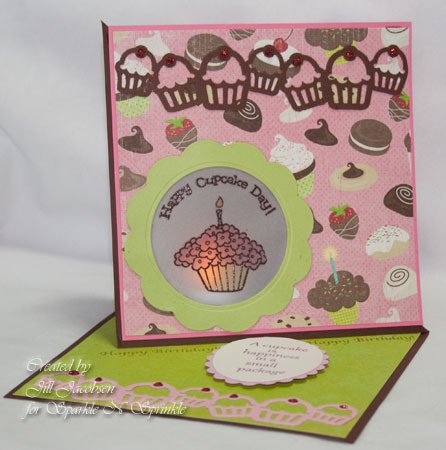 You're always coming up with something new - wonderful card,and such pretty colors! How fun is this card! 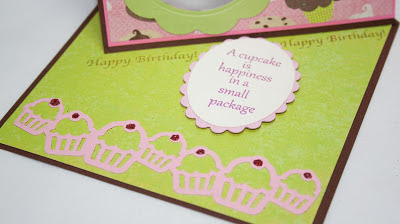 Great idea and such a cute easel card. Another stunning easel card. I love the idea of the vellum window with the little votive.